Peter first started caving in the war in England , as a baby when he was put under the stairs or in his Mothers baking oven for safety during air raids. He then became serious in caving in the 60s as a student mainly in limestone caves in Waitomo. Later this expanded to anything underground even in Auckland as they were close to home. These were then often desecrated lava caves in suburbia. Broken into or filled in by bulldozers during suburban progress it was obvious that they were not going to survive. Since then he has recorded any caves that came to light both by mapping or photography. In the last ten years computer technology and retirement from a job as technician in the School of Environment, has given him time to record them using different skills, and collaboration with the Auckland Council, to protect them and let the people of Auckland know what is under their feet and houses. 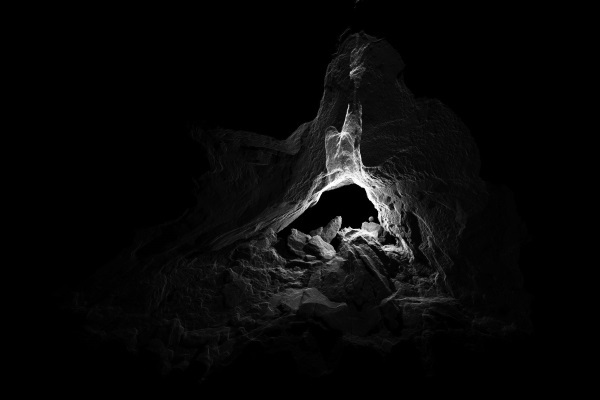 A photographic record of all the caves has been achieved and progress on 3D mapping is in progress. He has now become used to being filmed for news articles and has now collaborated in putting on a 3D lava cave exhibition at the Silo Theatre on the waterfront.